In 2018, Alexa is a household name. The top-selling artificial intelligence device from Amazon occupies space in millions of homes around the world, always ready to play music, write a grocery list, or scour the internet to answer a burning question. As the ubiquity of these devices and voice technology increases, scientists, including researchers on the Forty Acres, are working to develop ways these devices can make our lives even easier. On Aug. 22, Amazon announced the second class of its Amazon Alexa Fellowship, which includes 18 universities from across the globe to research and teach conversational AI. 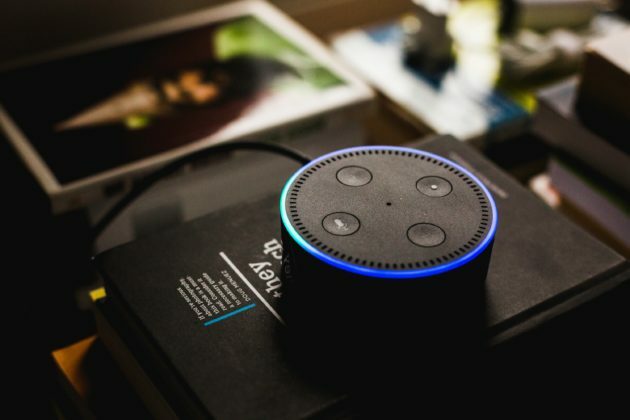 The Alexa Fund, a $100 million investment fund for voice technology innovation, selected UT to be a part of the Alexa Graduate Fellowship, which supports the research and education of PhD and postdoctoral students studying conversational AI. Computer science PhD student Wei-Jen Ko is the recipient of the fellowship at UT, which includes funding for tuition, a stipend, and mentoring from an Amazon Alexa scientist. Jessy Li, an assistant professor in the department of linguistics, is one of Ko’s advisors on the project. Li will be working with Ko to conduct research, which will focus on how to make Alexa— and other AI devices—able to develop more specific and lifelike conversational dialogues with users. Not only will the fellowship focus on research to improve the technology, but it will also include a teaching component so students can use the systems. Greg Durrett, an assistant professor in the department of computer science, is one of three faculty members assigned to the fellowship and will teach a natural language processing course for undergraduates in the spring. Amazon will donate Alexa devices and equipment to the class so students can experiment in developing and teaching Alexa new skills, such as how to look up answers to specific questions. “This is really useful experience for students who want to get hands-on with these things and understand how this technology works before they go on to either research it further or pursue a career building this stuff,” Durrett says. This partnership between Amazon and UT comes as the tech giant (which recently hit $1 trillion in value) eyes Austin as a potential host for its next headquarters. Whether or not the city is chosen, Durrett says he hopes the collaboration between the university and the company will continue because it is mutually beneficial.